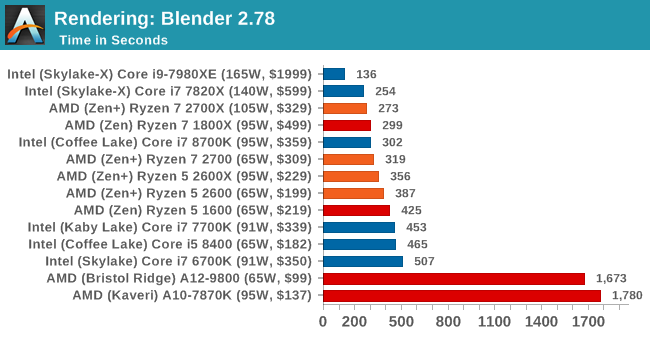 This is one multi-threaded test where the 8-core Skylake-based Intel processor wins against the new AMD Ryzen 7 2700X; the variable threaded nature of Blender means that the mesh architecture and memory bandwidth work well here. 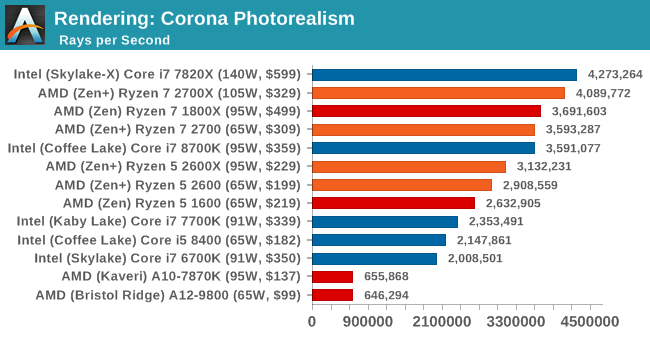 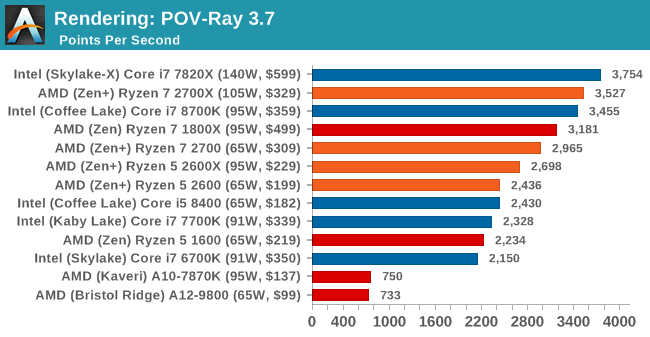 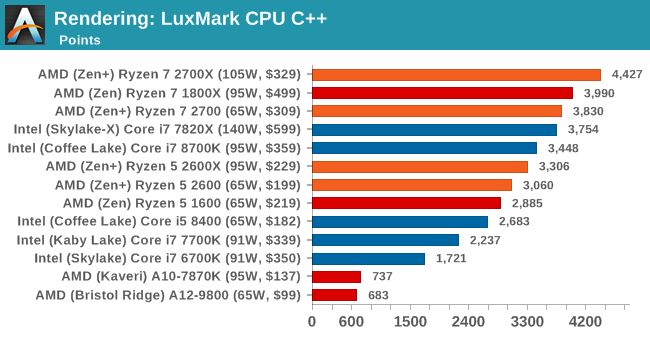 On a price/parity comparison, the Ryzen 7 2700X easily takes the win from the top performers. 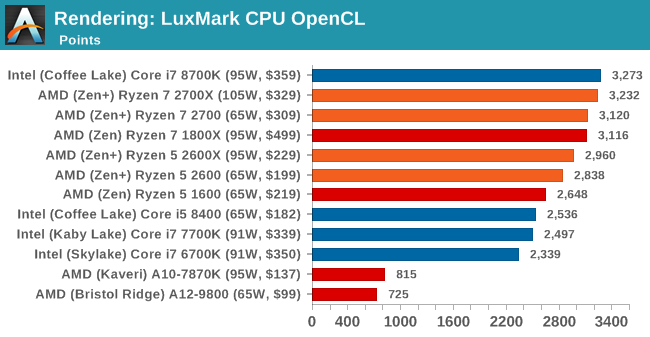 Users with the Core i7-6700K are being easily beaten by the Ryzen 5 2600. 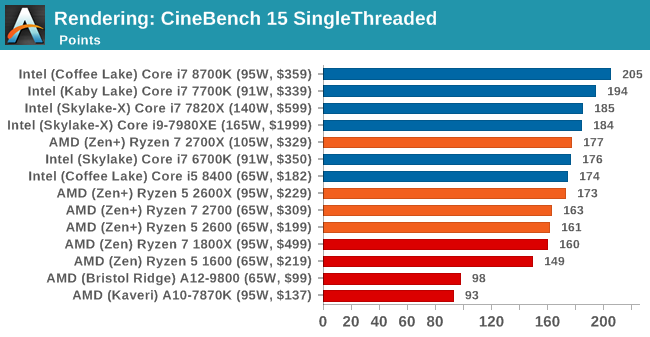 Intel is still the single thread champion in benchmarks like CineBench, but it would appear that the Ryzen 7 2700X is now taking the lead in the multithreaded test.